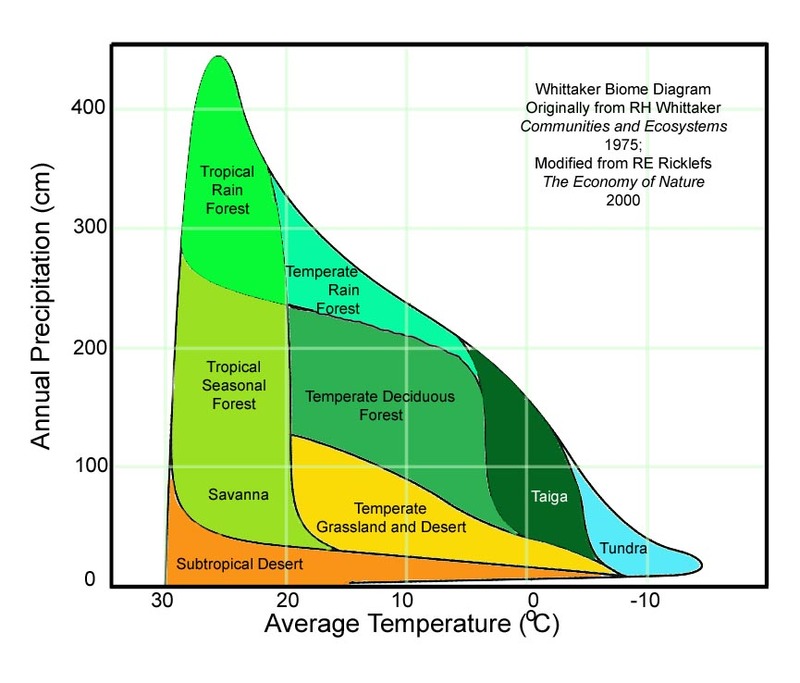 A Whittaker diagram is a way of dividing up a procedurally generated landscape which includes temperature and moisture values into separate biomes, or areas of similar plant and animal life. It is used in a number of games with procedural content, such as Dwarf Fortress and Minecraft to determine what plants and terrain features (such as sand and snow) should be created in a particular area. Biomes - Wikipedia article on Biomes. Map of the world's biomes showing approximately distribution and the source of the above image.